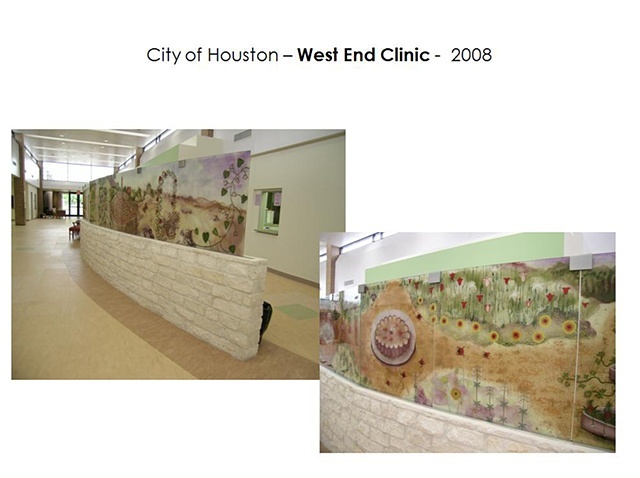 81 linear feet of country stone clad pocket wall with 27 Laminated glass panels. 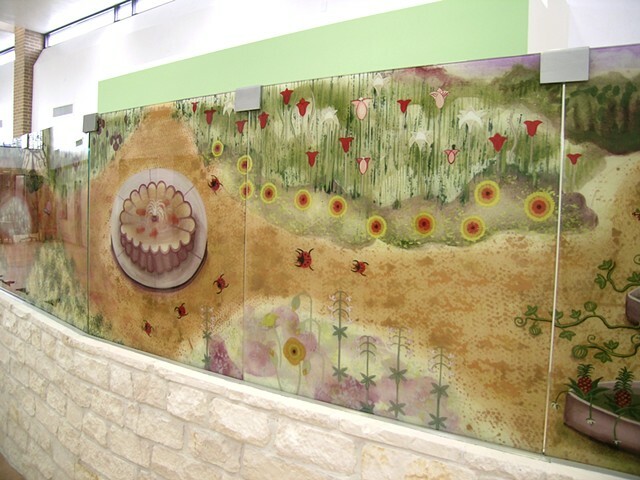 Pocket wall with Laminated glass panels. 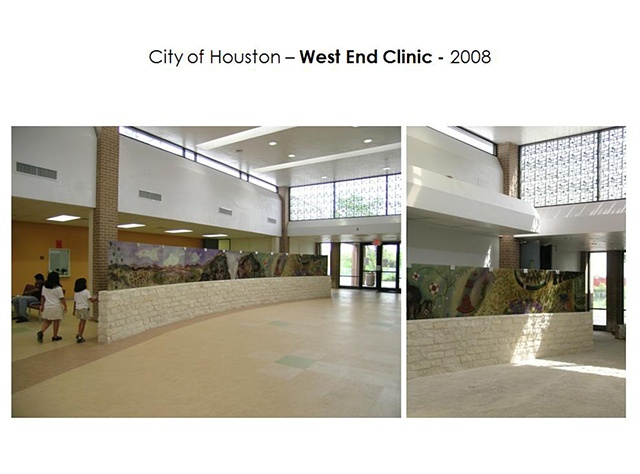 Managed by Houston Art Alliance. 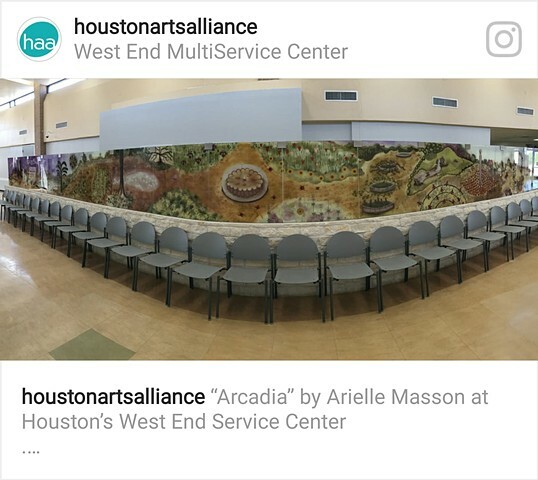 The title of the piece is “Arcadia”. 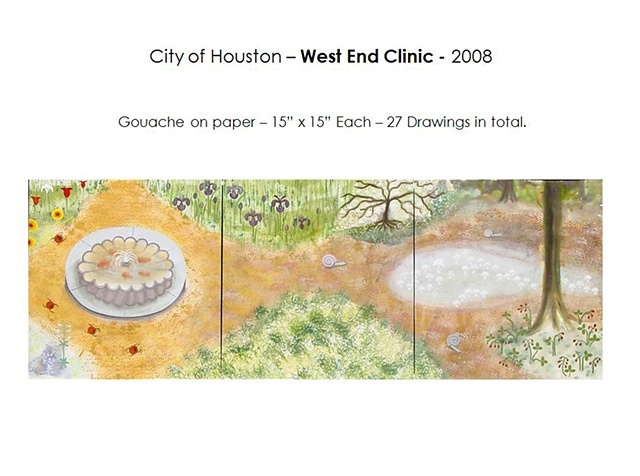 The format of the piece, which is 81 linear feet in length over 3 feet in height, induced me to visualize entering and walking down a garden path. 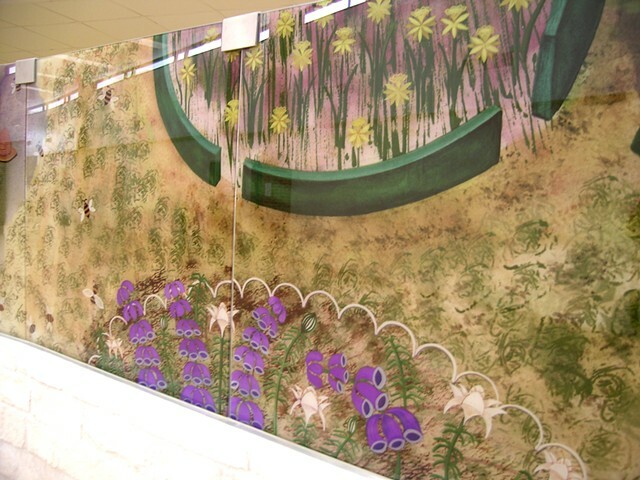 The garden is a powerful metaphor for the larger experience of life. Within the quiet contemplation of the garden, one may ponder over essential values of life. The garden is an enclosed space where one can find relaxation from the distractions of the city, enjoyment of the beauty of the colors of flowers and other plants. The concept of nurturing, and, of healing through heighten awareness, and the use of certain medicinal plants become ever more relevant. - Did you work from photographs or actual plants and flowers? 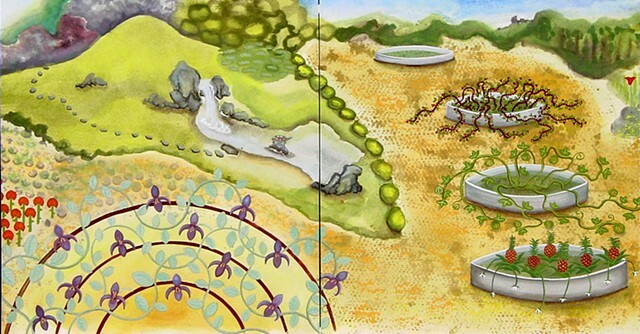 The metaphor of the garden is a constant theme of my work. 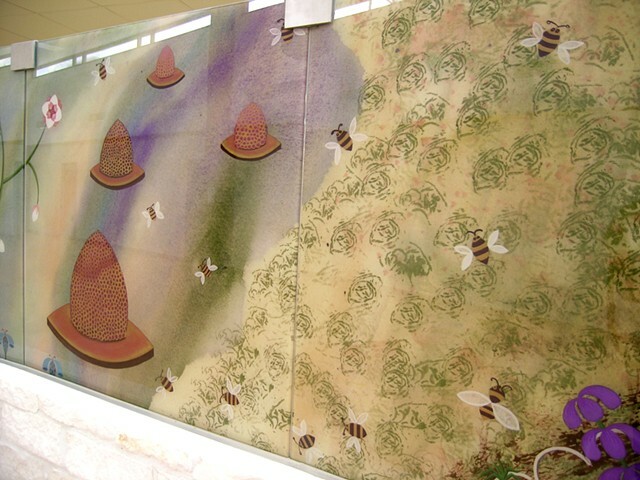 In the 90’s, I have developed a series of paintings called “the Garden”, where I designed many flowers and insects with use of a compass and a ruler. I wanted to make apparent the correlation between the geometry in Nature, and its use in Ornamentation. 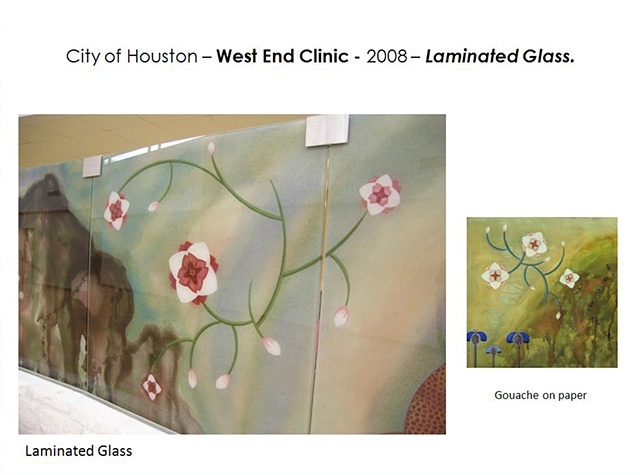 So, the glass mural for the Health Center is an original creation inspired from my previous work. I always visit as many gardens as I can, and take my inspiration and sketches from direct observation. Observation, contemplation and awareness are virtues that the garden helps us to cultivate.